Make sure your co-parenting communication is clear and child-focused – a communication tool designed with the challenges of co-parenting in mind. Simplify communication, reduce conflict and avoid the "he said, she said". &checkmark; Significantly reduces the need for conversations. 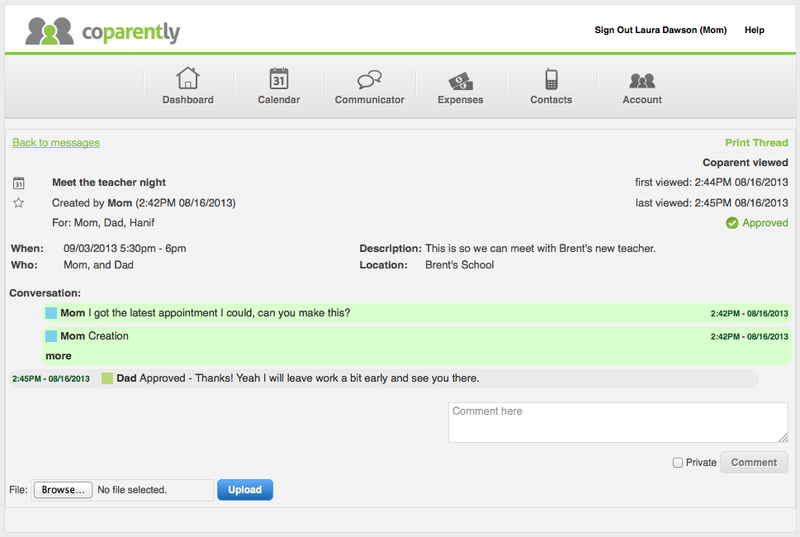 &checkmark; A platform for clear child-focused communication. &checkmark; Not open to interpretation, opinion or emotion. &checkmark; Reduces conflict and helps you to focus on the needs of your children. &checkmark; Communicator is highly secure and can be kept private from children and/or guest users. &checkmark; Helps you to maintain a business-like relationship & put the needs of your children first. &checkmark; Free guest user access to your co-parent communicator: you can choose to include your child caregivers, extended family, family law professionals or anyone else that you want to be able to view your communicator.